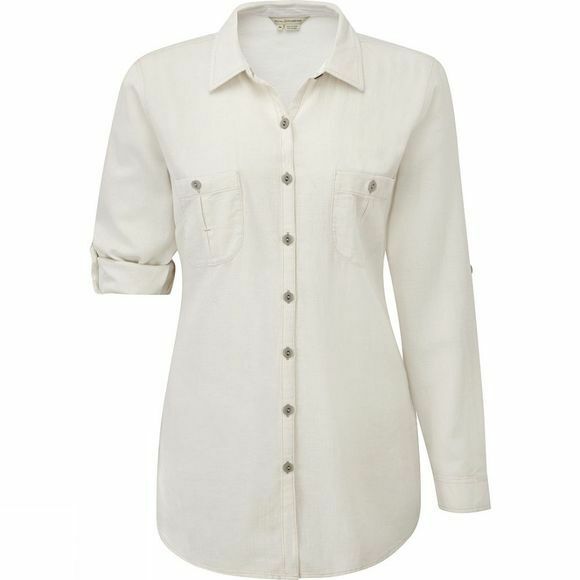 The Women's Cool Mesh Long Sleeve Shirt from Royal Robbins is a great option for warm and humid weather conditions. It is made with highly breathable Island Cool Mesh fabric to keep you comfortable while the styling of the shirt offers excellent versatility. With roll-up sleeves, two chest pockets and a full length button placket the variations really are endless.